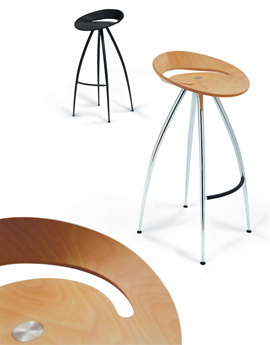 One piece ply-beech seat with steel tube frame. Available in 3 seat heights & various finishes. Prize:Top Ten Research & Design 'Promosedia' 1994.